So if you’re looking to earn a bit of additional revenue off the Internet, and you like what affiliate marketing potentially has to offer, then you may not have to look any further than trying out Pinterest. This social pinboard is taking the virtual landscape by storm, which may ultimately point towards driving income into your pockets by using performance based marketing. There’s a lot of buzz when it comes to Pinterest, because of it’s exploding popularity and as a result, many are attempting to develop a workable e-commerce strategy. The opportunity may even be better for affiliates to get a piece of the action. Merchants are reportedly posting their product images directly on their boards and some are driving hoards of traffic directly towards their product sales pages, generating interest as well as making sales or increasing brand awareness. There’s no reason why affiliate marketers shouldn’t be able to do the same. Affiliates marketers act as middlemen, the in-between commission based marketers of the Web. What they do is bridge users who are interested in a product and then connecting them with a vendor or a merchant for a slice of revenue pie. The most successful of these affiliate marketers also happen to be some of the best marketers on the Web. Their expenditure is hard work, a bit of sweat equity, and the know how, in order for them to get a piece of the profit. This instead of investing in the burden of developing and then marketing their own products. But because of competition, affiliates are now required to work smarter and usually a lot harder that others to be successful. They are required to find cracks in the armor while developing new channels and platforms which will generate fresh unassuming activity on their affiliate product links. Pinterest is now escalating exponentially into millions of users who love to “pin” and repin images, as it’s now suddenly one of the Top 3 social networking sites on the Web. So if you’re looking to get your marketing claws on Pinterest in the hopes of generating profit, some may say that this avenue is closing shut quickly. This is a fast moving train and once you think you can capitalize, the idea, the opportunity, of how to profit from Pinterest as an affiliate marketer may be already gone and vanished. As you know, the online marketing world moves lightening quick and is a constant moving target. So you’ll need to realize that if you’re reading this, most methods of marketing on Pinterest may be too late. You’ll most likely have better results in the long run if you participate in Pinterest on what it’s initial intention is, which is sharing with others your best or your favorite photo content. You do so while providing a short comment in the hopes that the image will be re-pinned and then go viral by being shared by others. So that being said, is it even possible to sell anything as an affiliate on Pinterest. First, search for merchants with an affiliate program who’s products aren’t fully exposed on Pinterest as of yet. This will prove to be useful since the less exposure there is on that merchant, the better. This will immediately raise the chances of that product image being repinned. What you should also be doing is finding products which caters primarily to women, usually of a mid to younger demographic. 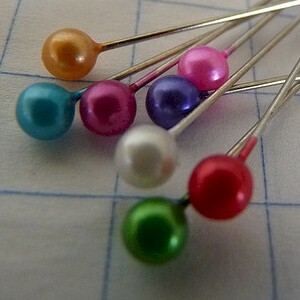 You’ll also need to organize your pins so that they are properly grouped and categorized. For example, you can pin book covers of popular authors and you may be pleasantly surprised on how many re-pins you get. You may also want to pick affiliate products where the merchants has a large assortment of products. Finding online retailers who provides XML feeds will help as well since it will speed up the posting process. There’s also a few software applications which can automate or speed up the Pinterest process when it comes to submitting. But it may be more efficient and safer if you manually do it yourself, as you’ll have better control over the listings. So what you can do is take the merchants XML or RSS Feed, subscribe to it using a feed reader, identify what the posts are and then start pinning. Begin by posting around 10 to 20 items a day to stay under the radar, as you don’t want to alert Pinterest. If you’re looking for some action, you may choose cost-per-click based programs. There are vendors such as Ebay for instance, who offers a “quality-click pricing” program. There are others, particularly if they allow you to generate RSS feeds of their products, which you can immediately submit to Pinterest. There’s no real secret passage to using Pinterest when promoting affiliate products, other than looking for merchants who offers products which fits into Pinterest’s demographic. Just make sure that you re-pin items which are found within the RSS feeds, and try using CPC or cost per acquisition programs. As of now, those who are monitoring Pinterest for “spammers” are currently busy focusing on the most aggressive of the violators. So if you fly under the radar, then you should see some results. Pinterest may be heading towards being the next large dollar acquisition target on the Internet, or they may just hold their course much like what Groupon did. Regardless, they are the new shining star on the Internet and the time to strike may be now.